I'm in love with this illustration for so many reasons. The shading is fantastic. The technique used is as well. 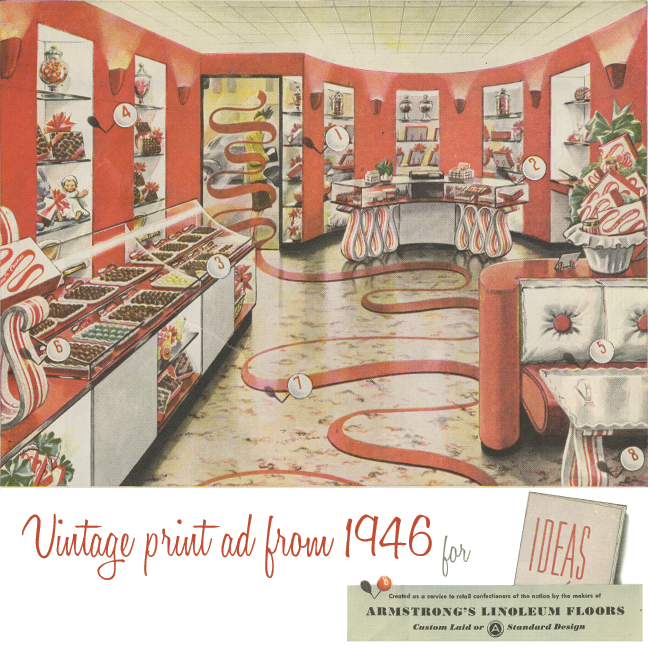 Wouldn't it be wonderful to see an actual candy store that looked like this? This illustration is so beautiful, I can't stop looking at it. Great post on flooring. It’s really going to help people to choose better floors for their homes. Very useful point you have taken on the topic of flooring to discuss here. Thanks for sharing such a great thing that covers home improvement. Nice things you have shared on flooring. In this, you have choosen great point of flooring. Thanks for making such a great effort for public awareness on home improvement.